Popular Bollywood Actress Katrina Kaif has done something that very few dare to try. Despite being an Actress, Katrina Kaif Side Shave is really a Surprise/shock to the fans. Yes, You’re reading it right. The Jagga Jasoos actress had gone under a serious makeover. To be precise a radical makeover which involves her being side shaved. The Real Story behind this is still unknown. But, Her being spotted in her new look is confirmed with some reliable sources and herself. Katrina Kaif Side Shave Surprise! Later today, an Instagram Story popped up on Katrina Kaif’s Official Instagram Handle. In which the actress’ hair looked side shaved. For an Instance, the look resembles past popular makeovers did my many actresses. But, Katrina Kaif Side Shave is somewhat different and not a clean look like Natalie’s. 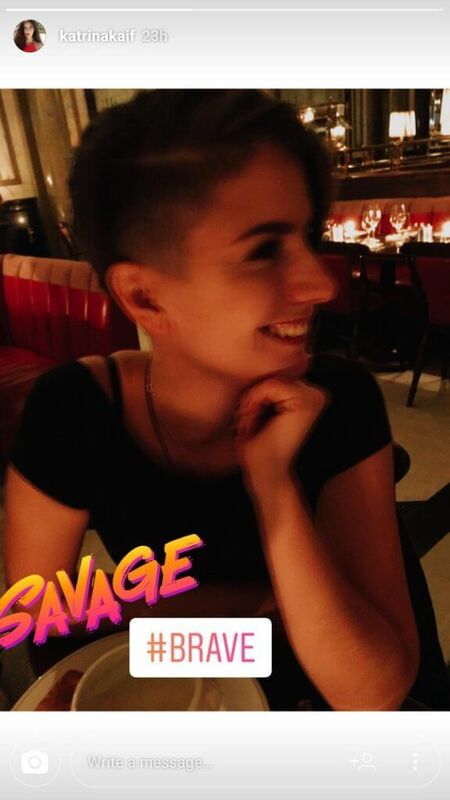 The Fittor Actress posted a story on Instagram showing her new haircut. Apart from this picture in the story, There’s no more copy found of her sporting the new look. And, The reason for the still unknown but there are few chances of the recent developments leading to this. Anyway, Somehow Bollywood viral/magazines managed to get another copy of her look. This picture confirms the look and Kat is seen enjoying the look. Some reasons for the look might be her entering into Hollywood. Some sources and the recent pic with her team confirms that Katrina is debuting in Hollywood. Like Deepika Padukone & Priyanka, And recently popular Hollywood actor Jeremy Renner followed Kat on her Instagram. The news is that he has not followed any star from India except Katrina Kaif. As we know that Hollywood roles are challenging when compared to Indian Characters in Movie/Tv Shows. There might be a chance that the Headshave look is her upcoming look in the movie. Also, Katrina is okay with her Jagga Jasoos doing average. TBH, She’s not having a great time when considering Movie Hits. This look might be her reacting to demonstrate the dedication she’s capable of. Anyhow, Full details are not yet known and we’ll update the whole story once they’ve revealed. 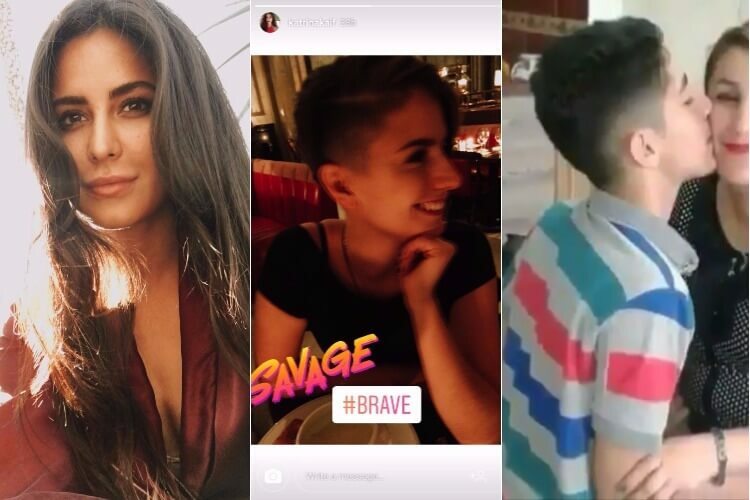 What do you guys think about Katrina Kaif Side Shave Haircut – Headshave Look. Leave a comment below and share the article with Kat Fans & with your friends and spread the word!